Mary Tod, over at A Writer of Fiction, tagged me to participate in naming my 5 favourite historical fiction novels. Mary was originally asked to name her favourite books. She chose to stick to the historical (and now I need to add more to my “to-read” shelves). *sigh* Like Mary, I struggled to remember books I read long ago. Though some of these were published back in the ’80s & ’90s (and earlier), most are more recent reads for me, and they span historical and science fiction/fantasy. Outlander by Diana Galbaldon. I have been swept away by the story and grandeur that Diana paints of 18th century Scotland and the lives of Claire and Jamie Fraser. I’ve read most of the series but the 1st book is by far my favorite. Here Be Dragons by Sharon Kay Penman. The Plantagenets fascinate me. 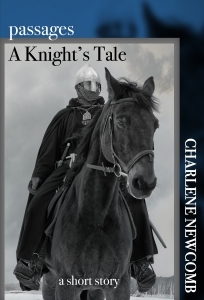 My current WIP, Battle Scars, takes place during the reign of Richard the Lionheart against the backdrop of the Third Crusade. I wanted to read other historical fiction of the time period and stumbled across this book after I’d read her recent novel, Lionheart. Sharon weaves magic and I’ve had to place most of her other works on my “to-read” list. The Song of Achilles by Madeline Miller. I only started reading this book last week when my friend and beta reader, Julie, recommended it. It is already among my favorite reads. I remember struggling to read The Illiad back in high school. The names are familiar, some of the plotlines surfaced from memory, but this telling of Achilles and Patroclus is spellbinding. Dive in. You’ll find it hard to put down. The Once and Future King by T.H. White. Arthur, Guinevere, Lancelot, the knights of the Round Table. What more need I say? Heir to the Empire by Timothy Zahn. Tim brought Star Wars back to life for me (and millions of other SW fans). He, along with a few other SW authors, captured the flavor and freshness of the original trilogy. His original characters are brilliant, his storytelling superb, and, best of all: he inspired me to write. My first published work was a short story in the Star Wars Adventure Journal. Readers – it’s your turn. What are your favourite books? March 7, 2013 in book reviews, reading. Hey Char .. thanks for responding to the tag. Aside from your Star Wars favourite, we have lots in common! Thanks for tagging me, Mary. This was hard! Cool, thanks for the tag! I needed a topic for tomorrow’s blog, too. So I’ll address my favorite reads then. Fantastic! Was it easy for you to come up with your list? Glad to hear you enjoyed The Song of Achilles; it’s certainly up there with my favourite books of all time. I bought Heir to the Empire for my two boys, who are both Star Wars fans. I started reading it aloud but, alas, it got put aside in favour of online gaming (they are at that age, I’m afraid). I have no doubt that the book will be picked up again at some stage, quite possibly by me! Your boys might still be a a bit young for HttE but the whole Thrawn Trilogy is wonderful. I hope the boys (and you!) get into it in the future. You can see I didn’t stick to historical, so any of your favorites will work!